I have an oddly specific memory of listening to the Sometimes Boys' Fire and Ice -- cooking dinner in my first apartment in between preparing for the next day's class. One degree, a career change, and two apartments later, the intervening years have seen big changes in the band as well. Kurt Leege welcomed the birth of his first child. 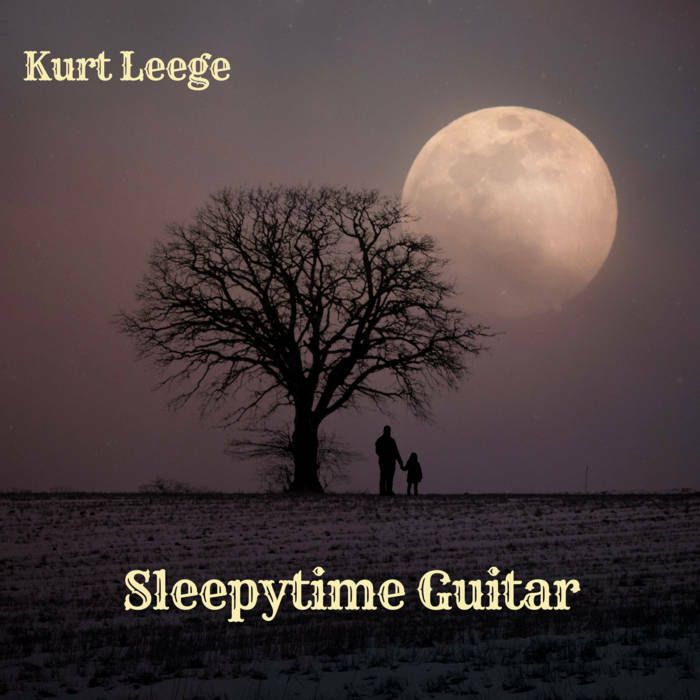 Finding that it was difficult to find soothing music that wasn't also irritating to parents, Leege created Sleepytime Guitar. As a fan of guitar instrumentals, I really enjoy this album and I have no kids to induce into slumber. The album consists of many a folk standard, buttressed by dreamy electronic drones and cosmic reverb. Often times, the arrangements are slowed to make themselves just vaguely recognizable -- such as Leege's four-minute rendition of "Twinkle, Twinkle Little Star." (Though perhaps it's closer to Mozart's original composition? I'm not that well-educated on classical music.) Just because the songs themselves might make you think of nursery rhymes, though, I encourage you to keep an open mind: there are moments throughout the album that, for whatever reason, remind me of Hebrew prayers (surely a coincidental octave here or there.) While I'm not much for the religion itself, both the prayers and these moments in the music produce both a sense of fundamental calm and awe for creation. I absolutely plan to use the album as the background to my daily meditation practice. If you, too, are in need of something to calm you (and you know you need one), Sleepytime Guitar will ease your weary heart -- and your collicky infant. Help me help you find great music! Subscribe to my Patreon for $1+ a month or drop a one-time tip in my Ko-fi cup with your Paypal account!